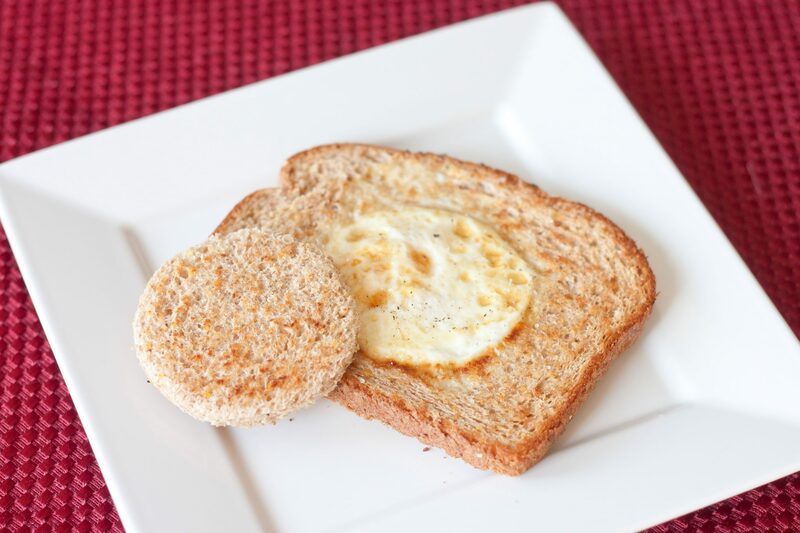 In honor of the start of my Spring Break, and because it’s one of my favorite breakfasts ever, I bring to you…the Egg-In-A-Hole. So, grab a piece of bread. And a circular biscuit or cookie cutter. 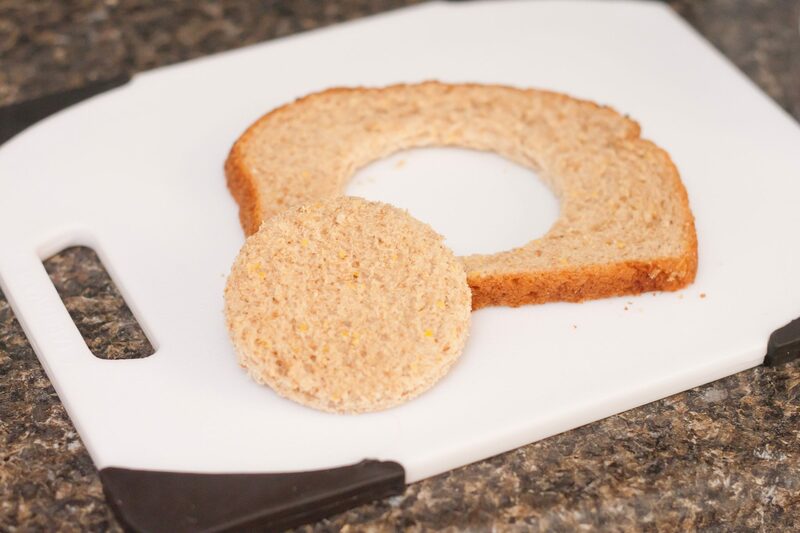 Cut a hole in the center of the bread slice. Place your bread in the pan and crack an egg in the hole (see?! 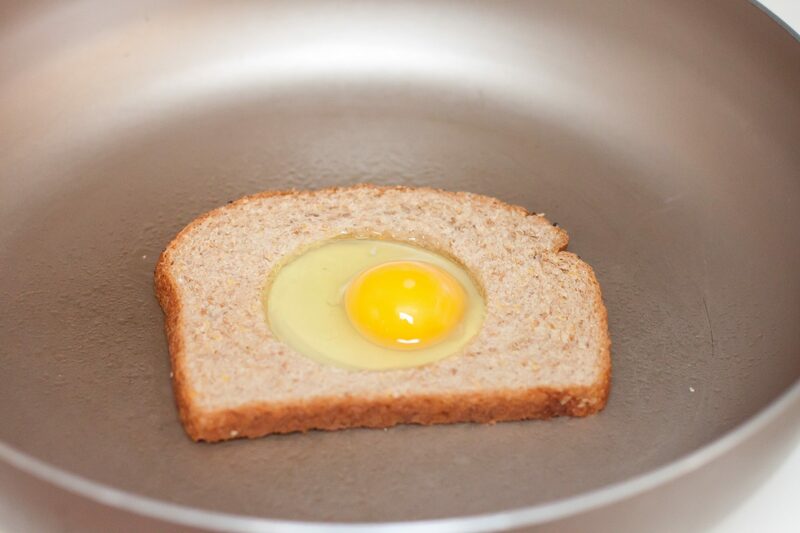 Egg-In-A-Hole…perfectly accurate.). Sprinkle some salt and pepper over the egg. And flip it. 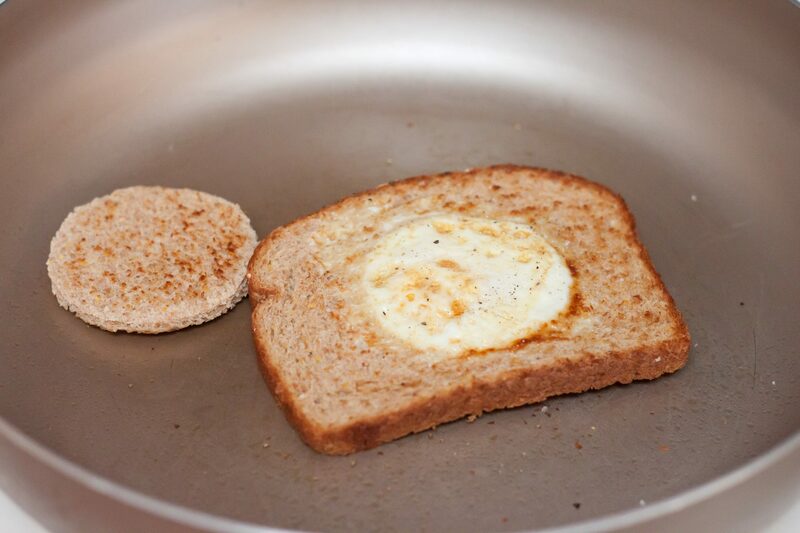 I always add the bread circle to the pan when I flip it, because that seems to be the magic time when it toasts perfectly. That’s it! 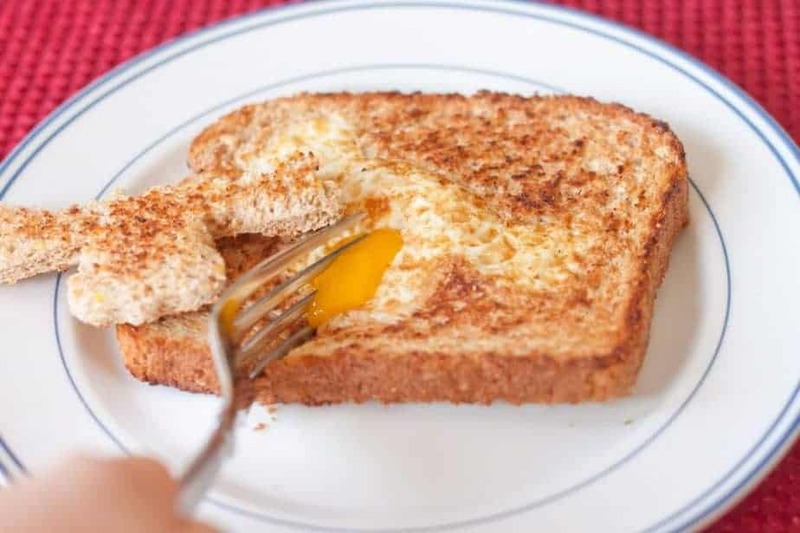 Then, you have perfectly toasted bread with a perfectly cooked egg in the middle and this one is easy to alter according to different tastes. 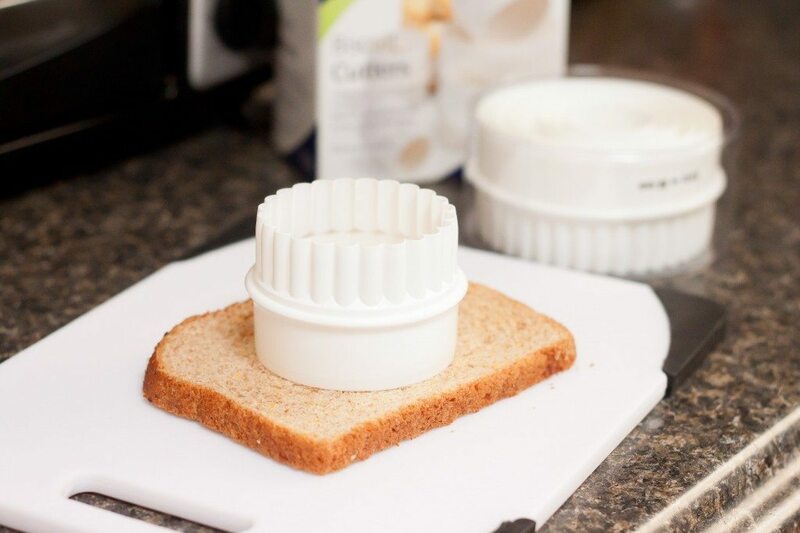 Using a biscuit or cookie cutter, cut a hole out of the middle of a slice of bread. 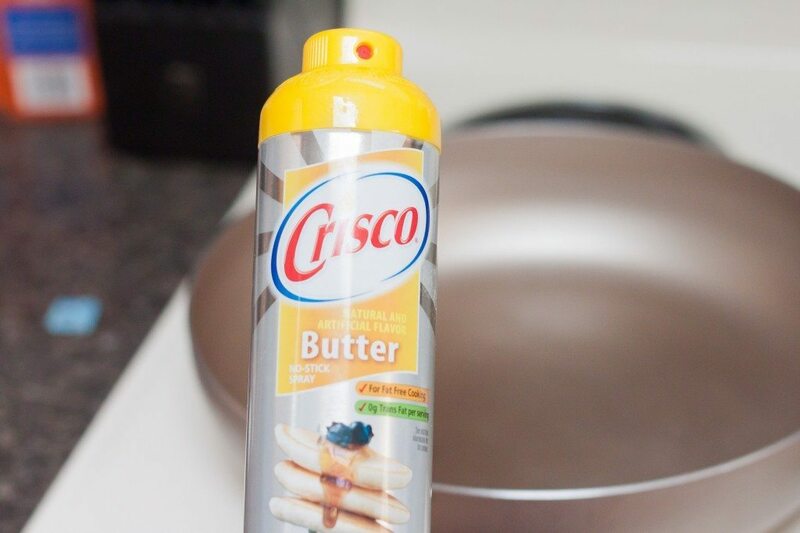 When pan is heated, lightly spray with cooking spray. 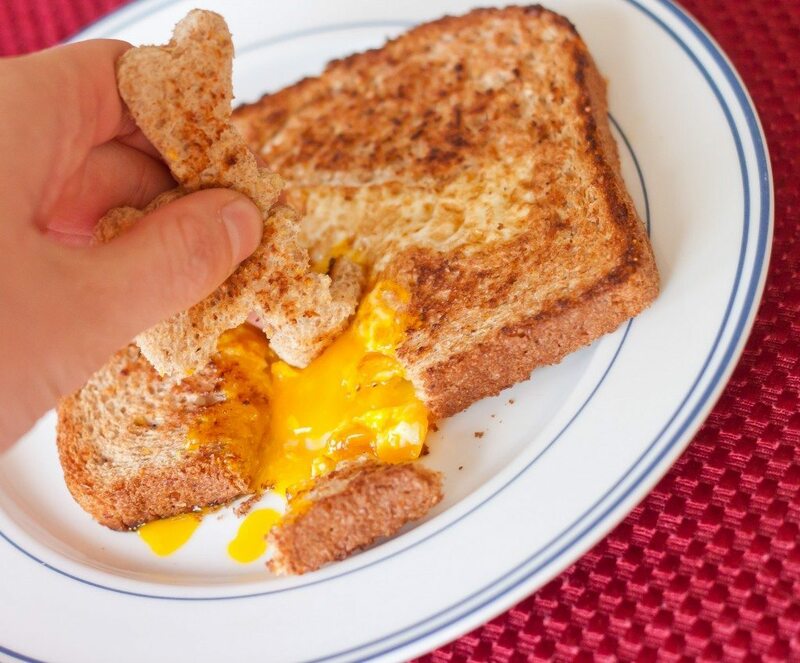 Set the hole-less piece of bread onto the pan and crack an egg into the hole. 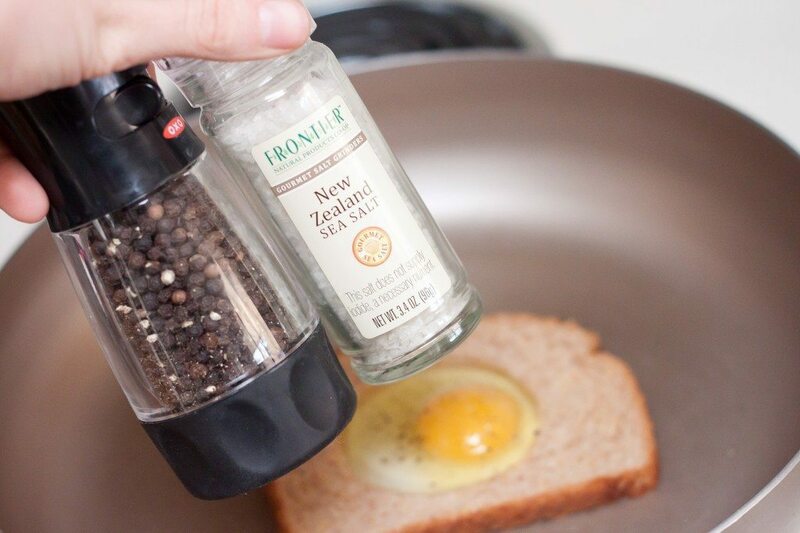 Sprinkle salt and pepper onto the egg and cook for 1-2 minutes. 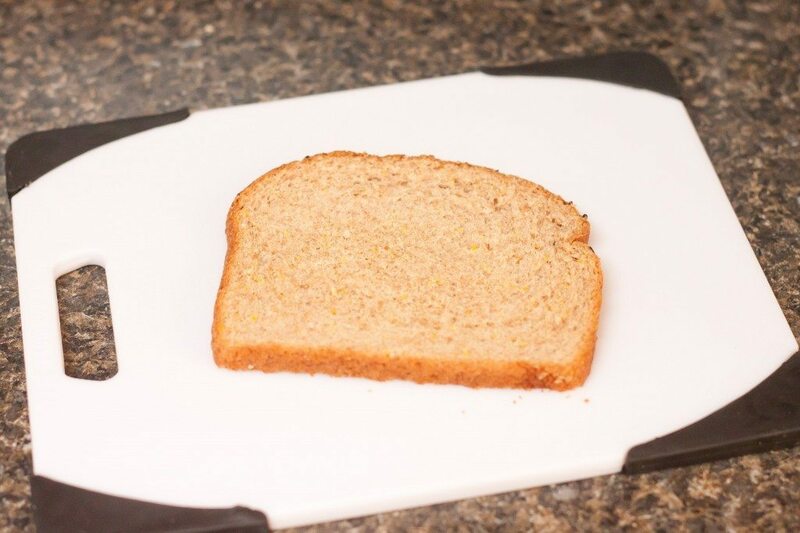 Add the bread circle (from the middle of the slice) to the pan. Flip the bread with the egg and cook another 1-3 minutes, depending on how soft you want the yolk, flipping the bread circle about halfway through the cooking time. 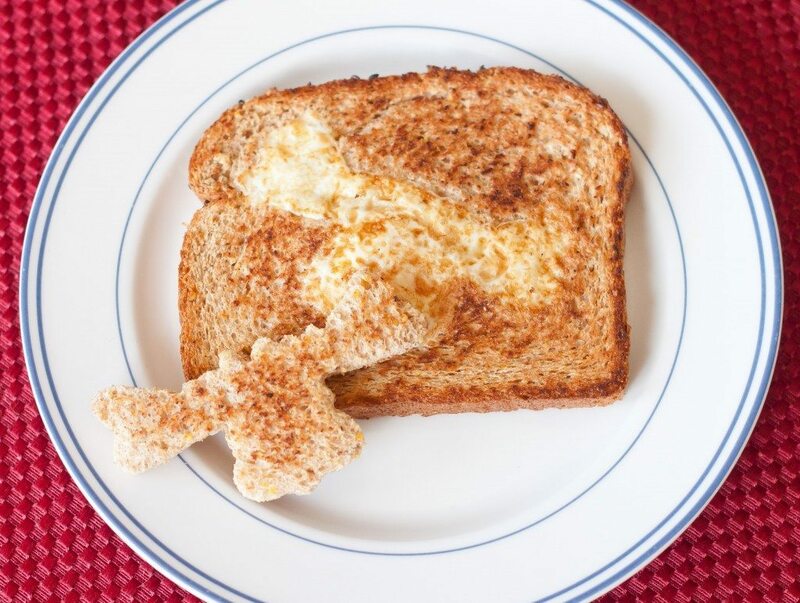 We call these toad in a hole, or bird in a nest and this is my favorite breakfast. No offense but I think the way one is supposed to eat these is by leaving the toast intact and just piercing the center where the yolk is and eatting the yolk with the toast hole. 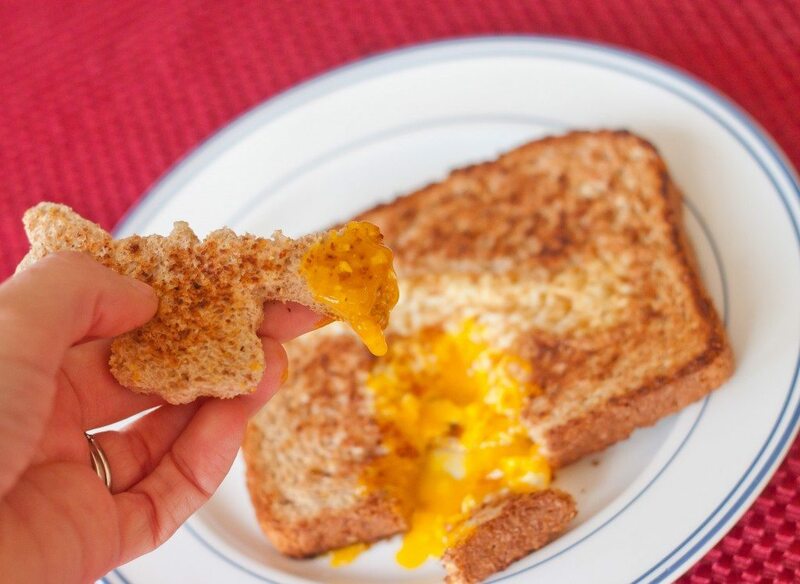 Then one cuts into the boarder to eat the remaining egg and toast. 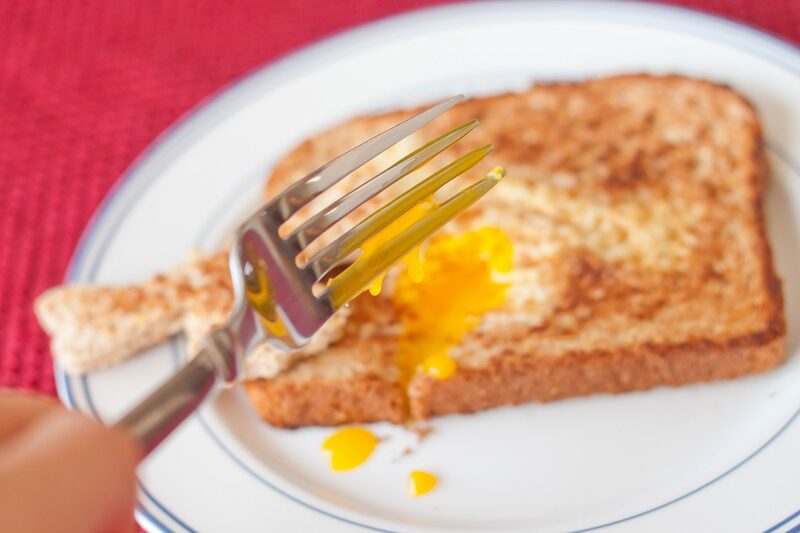 This way none of the yolk ends up on the plate wasted. 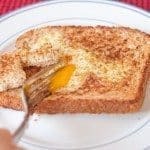 I also toast the bread lightly first and butter the up side, cut the hole and then place it in a pan with melted margarine or butter. Yes, this is a lot of fat but better that loading up with bacon and the bread comes out crispy and golden brown. I am so happy you like this too, thanks for posting my fave! Okay, that name is adorable! I’d totally call them that, just for the cuteness factor! I love these too! We call them pop and squeaks (Joe’s mom’s name).